Enough of Summer Vibes for now! It's almost that time of the year when you’d spot skulls, skeletons, pumpkins and jack-o-lanterns almost everywhere you go! What are your plans for Halloween this year? Something wicked is coming to (Up)town! Are you ready? 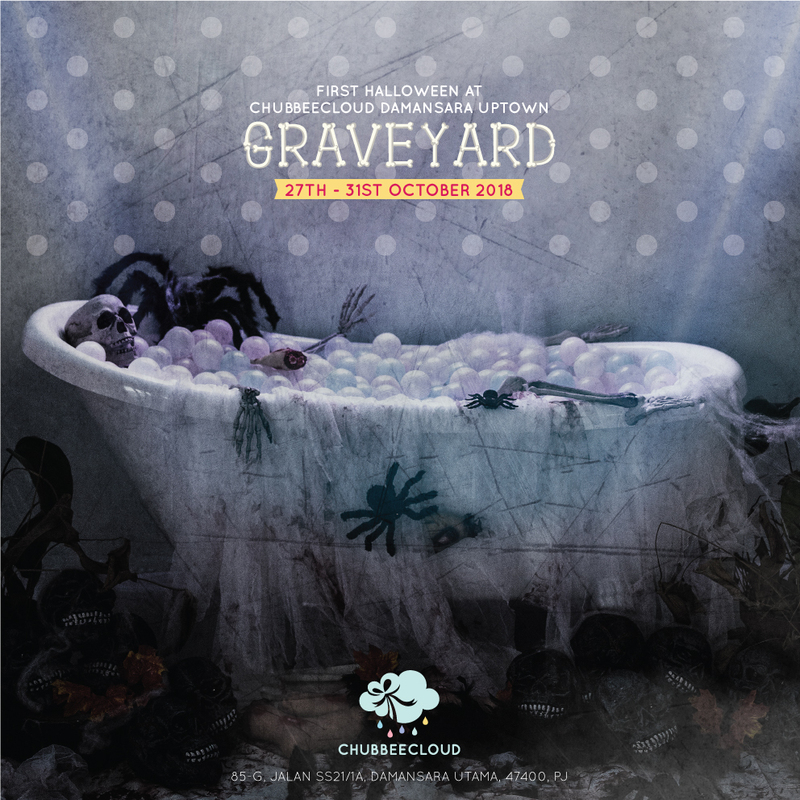 This Halloween, #TeamChubbeeCloud presents to you GRAVEYARD at ChubbeeCloud Damansara Uptown and we dare you to dive right into our Tarantula Infested Bathtub! Show up with your friends this spooky Halloween dressed in your Best Gory Halloween Outfits at our Tarantula Infested Graveyard this 27th, 28th, 30th or 31st October and receive a Mystery Gift each! Well, they say, if you’ve got it, you’ve gotta haunt it, right? While you’re at it, feel free to take your Halloween #InstagramShots & tag @ChubbeeCloud to be in the running to win a ChubbeeCloud Ultimate Gift Box! As a Halloween Exclusive, #TeamChubbeeCloud will be turning the scare factor up a notch for our Signature Milkshakes. GRAVEDIGGER MILKSHAKE with handcrafted meringue ghosts, wiggly worms, mud & black-blood drenched pretzels. GRAVEDIGGER MILKSHAKE will be available exclusively for 4 days only! If you like what you see, remember to block your dates this 27th, 28th, 30th and 31st October 2018. Ajak your friends to come lepak together and we'll play Trick or Treat in the spirit of Halloween! We have our Trick or Treat ideas ready and we can’t wait already! See y’all! 85-G, Jalan SS21/1A, Damansara Utama, 47400 Petaling Jaya, Selangor.